Being a professional voiceover artist since 2010, I have been the voice of Apple IVR for Turkey since 2013. I am a well known voice in Turkey not only for voiceover jobs, but as a TV journalist as well. I have worked as the only female sports commentator of Eurosport Turkey from 2006 to 2015. Now based in London, I work as the London Correspondent for BloombergHT. Worked for: Apple Turkey, Microsoft, Metro, Goodyear, Bayer, Panasonic, Dow Chemicals, Nutreco, Sanofi, Kaspersky, Momondo, Bticino, League of Legends Video Game, Anadolu Health Group, Abbvie, Schneider Electric, Hasbro, BMW. Description of voice: Warm, soothing for narrations. Confident, upscale, professional, cool for e-learning and IVR projects. Upbeat and energetic for commercials. TV Reporter I am the lead London based news correspondent for BloombergHT – the Turkish channel of Bloomberg Television. I report about the European markets as well as financial, political and business developments across the Euro zone and the UK. I research, write and edit my own content for daily live hits, primarily highlighting the market movers news. Additionally, I host and interview business leaders, market strategists and economists to analyse the agenda from the Bloomberg London studios. During these targeted interviews, I aim to cover a wide range of industries and sectors from technology to communications as well as art and approach these topics from an economical and financial perspective. I covered the Brexit Referandum, 2017 French Elections, 2017 UK General Elections and also reported about the European outlook to the 2017 Turkey Constitutional Referandum. I stand in as a reporter for breaking news in Europe and I will continue to follow the Brexit period. Sports Commentator 2000+ hours live commentary experience. Live commentaries during the 2008 Beijing, 2010 Vancouver, 2012 London Olympic Games. Commentator of Equestrian, Figure Skating, Luge, Tennis, Beach Volley, Dance, Synchronised Swimming competitions and Eurosport Magazines. 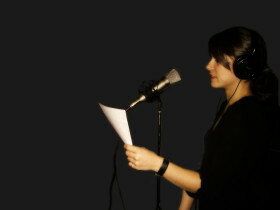 Voice over of tr.eurosport.com Website Commercials on national radio stations.